Banner is obviously fake, that is an infogrames logo and Atari under Warner has guidelines for use of the logo and one was it was not to be altered or incorporated into an object. Box art I cant comment on yet. Id like Mitch to send me some high res photos of his HSC. I have #1 and got it directly from a GCC engineer in 2004 and I know for a fact it is real. He posted them in the 7800 forum. How's the XM update coming, the natives are restless again? How's the XM update coming? The natives are restless again! Fixed that for you. Punctuation is everything. Kissarmy probably won't like it, but I think it is necessary to put a warning here. 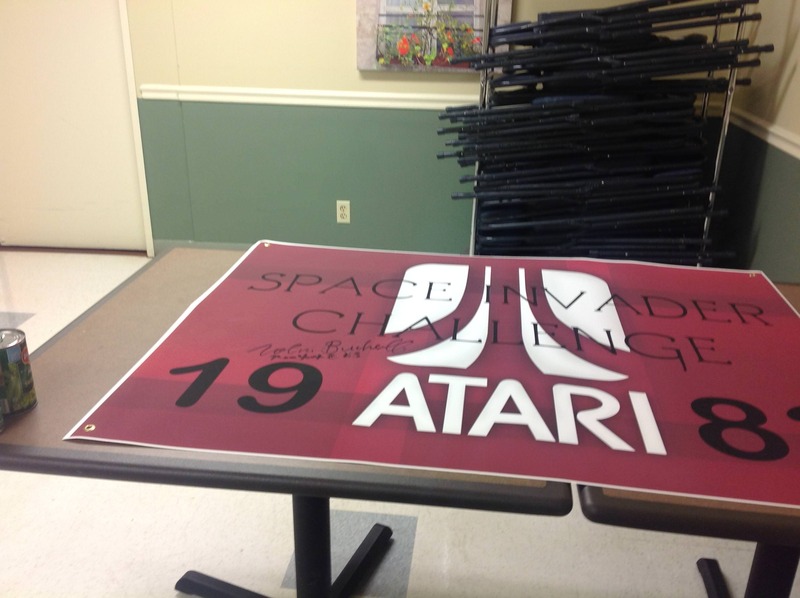 I just received a couple of emails from him with photo's of stuff he claims he got from a former Atari employee. My conclusion is that these items are fake. But I will let the visitors of AtariAge decide. First up is a banner, which is claimed to be from 1983. I think it is fake. Why? The official Space Invaders Championship was in 1980, the banner looks brand new AND the logo which was used does, to my knowledge, not exist in 1983. Yep, the National Space Invaders Championship was held in 1980. The finals were held in New York in november 1980 (and won by Bill 'Rebecca' Heineman). Never heard of a 1983 Space Invader Challenge. That banner makes no sense. Font, color and logo don't match early 80's at all. Edited by Rom Hunter, Mon Dec 4, 2017 4:12 AM. Thank you guys for confirming my findings Much appreciated! Huh I never never knew that. Small world. She started programming for Avalon Hill at age 14. Edited by Rom Hunter, Mon Dec 4, 2017 3:44 PM. After the fake Space Invaders poster/banner, what do you think of this one?